The robotic fabrication workshop (4th-year, undergraduate) explores the materialization processes as active participants in pavilion design based on computation and automation technologies. The two teams studied different material and developed bespoke fabrication processes. 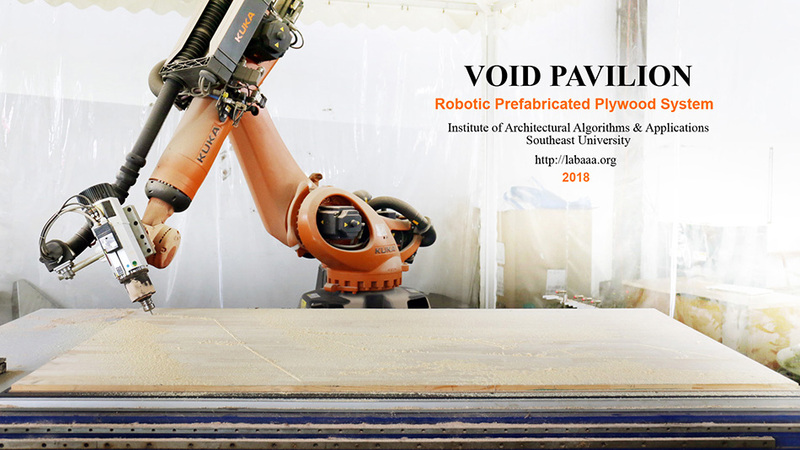 One team explored the Ultra-High Performance Concrete (UHPC) and the other developed a robotic prefabricated plywood system. Critics: Benjamin Dillenburger (ETH Zurich), Shihong Li (JZFZ), Chuang Chen (JZFZ). CNC: KUKA (6-DOF robot), 4-axis hot-wire CNC cutter, Laser Cutter. 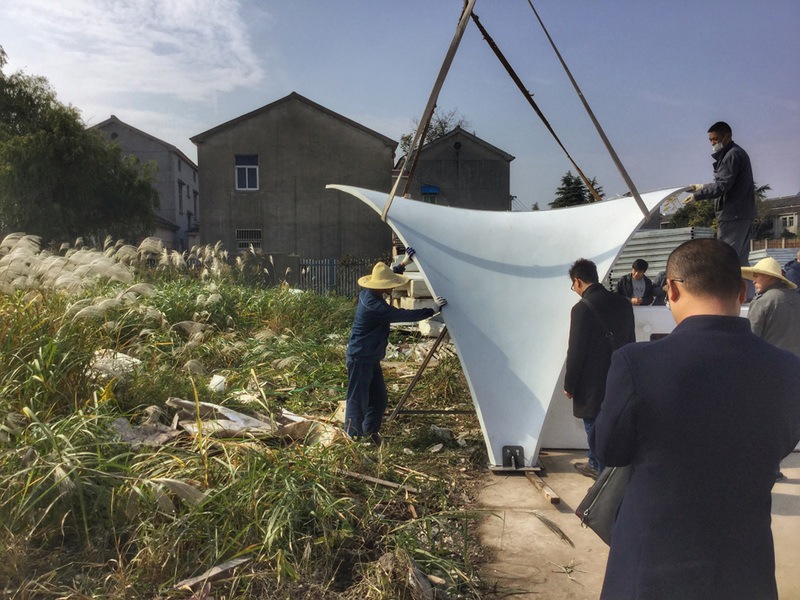 The team explored prefabricated thin shells using Ultra-High Performance Concrete (UHPC) in collaboration with Nanjing BeiLiDa. The same petal from one mould can be combined into various installations of distinct spatial qualities. The team developed a form-finding software using Processing. Structural performance and assembly feasibility were optimized. The software generated the G-code for the hot-wire cutting machine which produced the curved surface out of EPS foam blocks. A family of ruled surface approximate the desirable double-curved surface. Then a GRC mould was made from the foam surface via shotcrete. 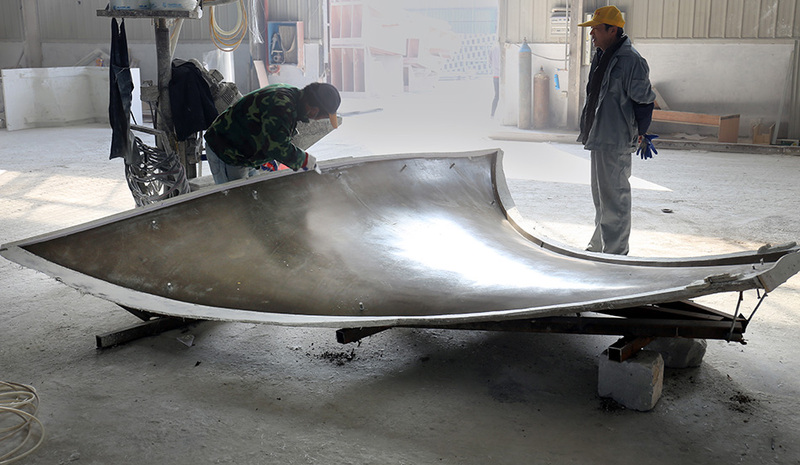 Finally multiple UHPC petals were fabricated (shotcrete) using the same mould. During in-situ assembly, petals are connected by preset metal fasteners. The surface area of a petal is 5.9 m2. A pair of petals occupy a 3×3 meter square. 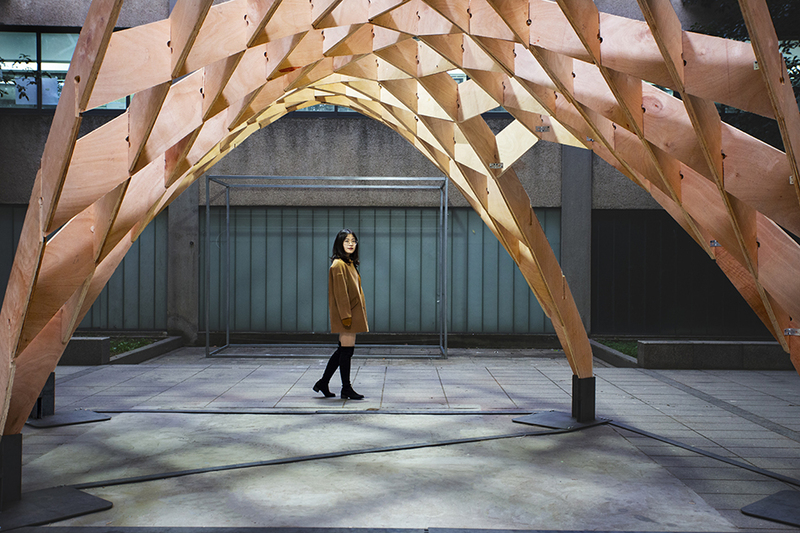 The Void pavilion was constructed in the courtyard of the Architectural School. 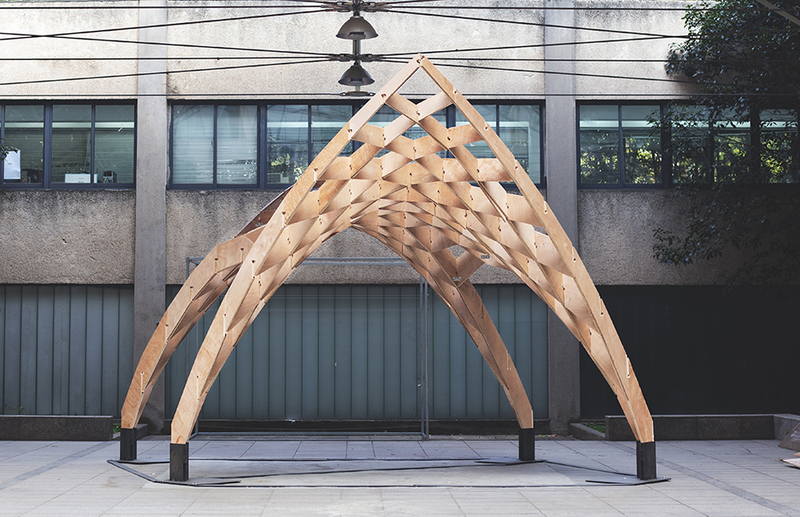 The three-student team designed, fabricated and assembled the timber structure within eight weeks in collaboration with Nanjing YAOYANG Technology. 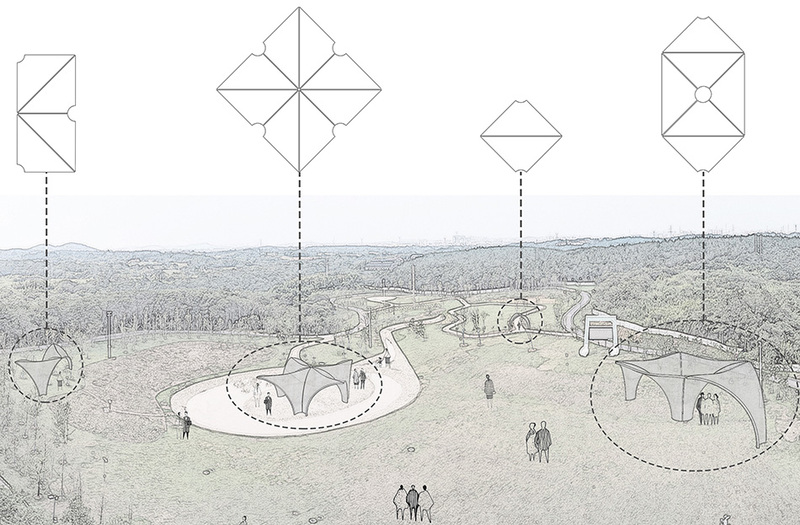 The pavilion is the first implementation of a robotic prefabricated plywood system (RPPS). 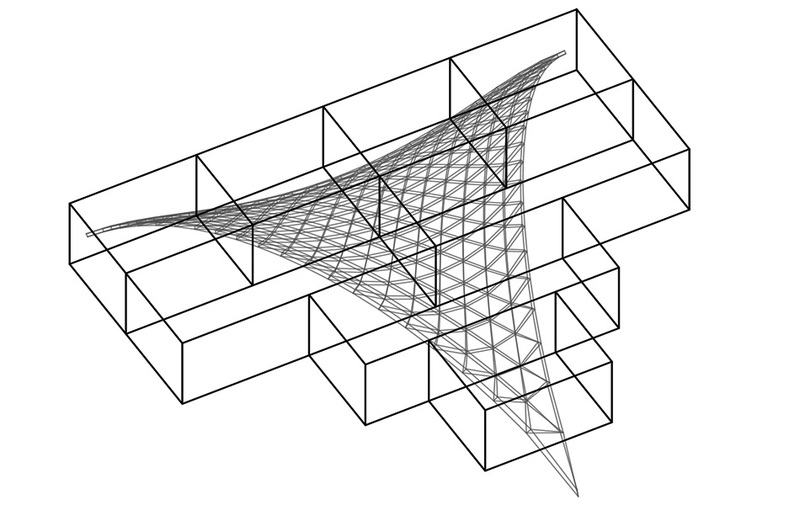 Various form-finding approaches of funicular structures were experimented via programming in Processing. 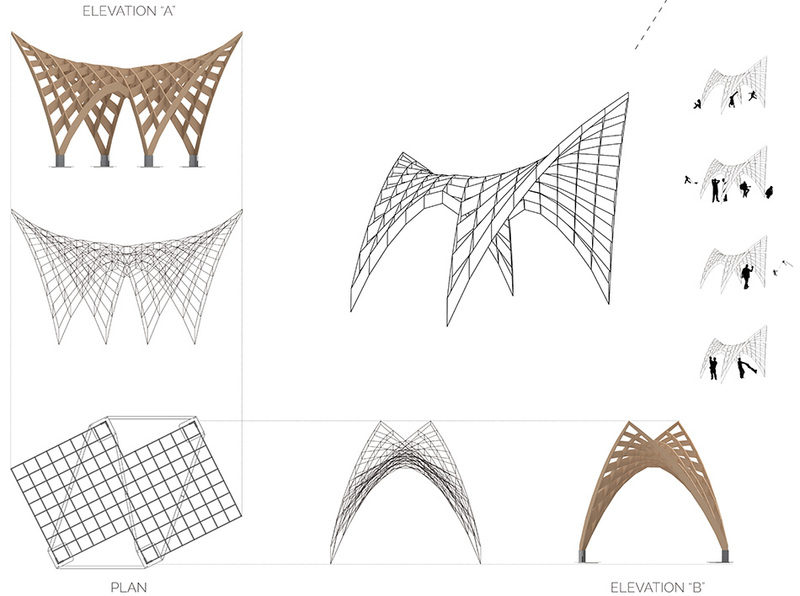 Eventually a generative model was developed to create the configurable shape of a new type of fibreboard pavilions. 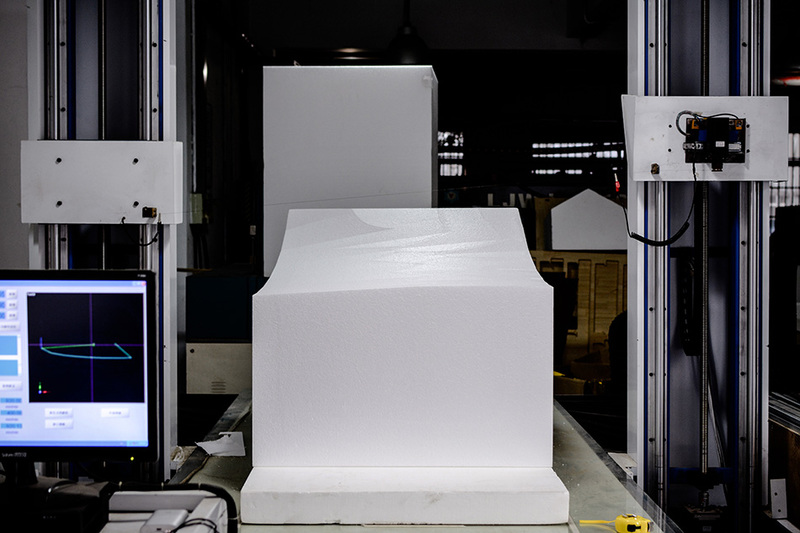 A robotic cut/mill system was employed as it is more robust than 3-axis CNC milling machine. The team used Processing to produce the KRL codes for toolpath planning of the KUKA robot. The off-line programming via Processing also integrated the bin packing algorithm to pack the hundreds of pieces into 30 plywood sheets (1.2×2.4m). The geometric details of the wooden joints were directly encoded in the robotic toolpath. Without any nails or fasteners, a typical connection can be made exclusively by the plywood components. The beams are 30mm think with two layers of 15mm plywood. The manual assembly took two days. November 24, 2018 | Filed under Others.